This is a diverse group of artists whose activities include workshops, plein air outings, field trips, art demos, critiques, classes and group shows. Participating members are invited to display their work. These opportunities include exhibiting and selling work in a variety of venues. Please visit the calendar at windmorefoundation.org for the latest information. 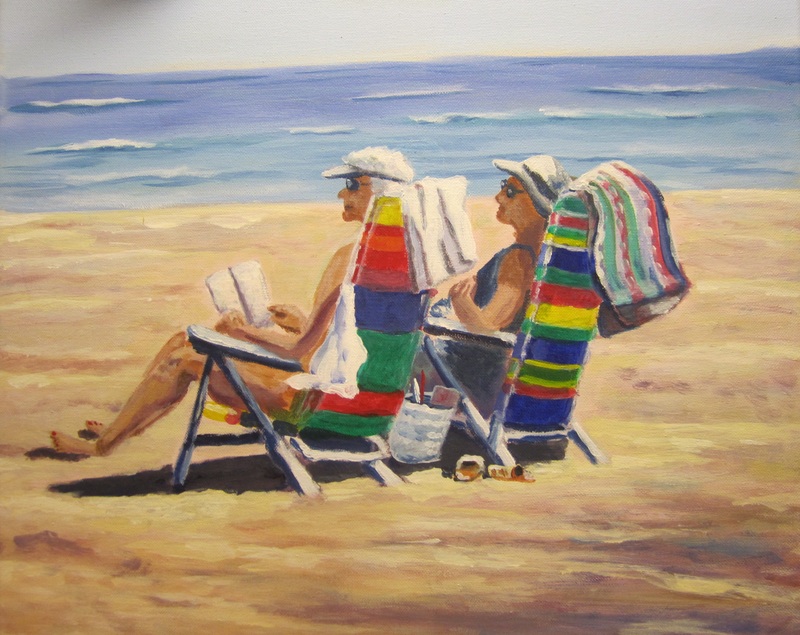 Windmore artists are listed on Windmore’s website with a link to their artist websites. Also, several times a year, Windmore selects a performing or visual artist as an “Artist of the Month”. The artist is featured in one of Windmore’s newspaper columns about the arts. The exhibit showcases photographs taken in the Northern Piedmont of Virginia. The Exhibit at Fauquier Hospital will run during the month of June. There is no cost to participate in the exhibit which is part of the Young at HeART Series funded in part by the PATH Foundation. Windmore is partnering with Fauquier Hospital and Culpeper Medical Center this year providing art exhibits. The first one is at Fauquier Hospital, entitled Seasons and runs through February 28, 2017. The art exhibit Seasons takes us through a year of seasonal art. Spring and summer transcends from one end of the display. Fall, along with winter, meanders on a path completed by Norman Rockwell’s “season of giving” depiction. All the paintings are symbolic and take us through seasons of life that include reflection, rest, learning, growth, celebration, generosity, and even uncertainty with crossroads along the way. Most of the pieces of art are by Northern Piedmont artist Millie Lane in whose honor Windmore offers a scholarship each year to graduating high school seniors majoring in the arts in college. The art was donated to Windmore by the Lane family. Millie, who passed away in 2010, was a prominent local multi-media artist who enjoyed creating with oils, watercolors, acrylics, inks, mixed media and collage. She was quoted as saying “I have been painting in various media all my life, learning and teaching as I go. 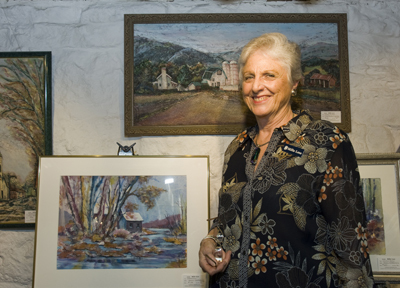 I love plein air painting in watercolors the best so I can feel what I am painting.” Millie received many awards for her paintings and often exhibited her work in Fauquier and Culpeper County. She had a 40 year career as a nurse earning many awards for creative and innovative programs and a place in Who’s Who in American Nursing. Millie’s nursing career included working in both Fauquier and Culpeper Hospitals. In the exhibit at Fauquier Hospital in January 2017, there are two pieces of art by internationally renowned artists. Midway through the Seasons exhibit is Charles Peterson’s “Days of Summer” which is a framed and signed limited edition print 765/2600. Also is a Norman Rockwell “Christmas” framed and autographed limited edition print 173/315. 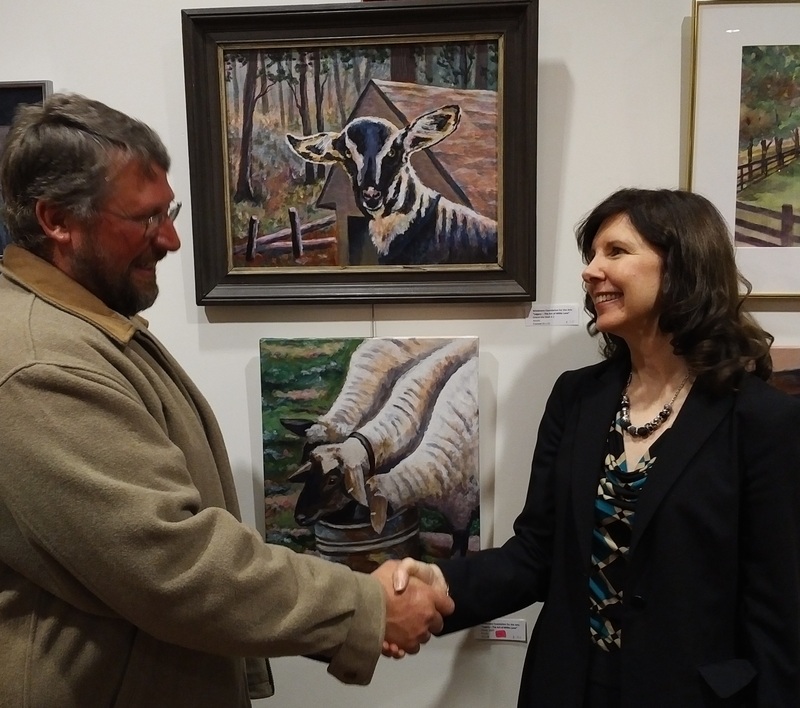 All of the sales of the Seasons art exhibit benefit either scholarships like Millie Lane’s Art or supporting Windmore’s mission of providing community arts. Fauquier Hospital is located at 500 Hospital Drive, Warrenton, VA. Later in the year, Windmore will present another new art exhibit at Culpeper Medical Center which will run from July 15 – September 30 2017, located at 501 Sunset Lane, Culpeper, VA.
We are creating a list of people interested in attending a future art demo. Add your name by emailing: info@windmorefoundation.org or call 540-547-4333. Discover the wide range of GOLDEN paints that are fluid in motion: High Flow, Fluid Colors, and QoR Watercolor. Learn how to make the best archival choices from a collection of products. Beginning with traditional watercolor techniques using QoR Watercolor, we move into more contemporary ideas including using GOLDEN products in journaling. This will include an assortment of applications such as: pouring, staining, granulation, blooms, splash, and “white-out” tricks for saving that uncooperative watercolor painting. We will then work with QoR Watercolors in combination with GOLDEN Acrylics to explore the resoluability of watercolor and the permanence of acrylics. Finally, attendees will learn how to take advantage of GOLDEN and QoR Grounds to create myriad surfaces for their work: from paper-like surfaces with the QoR Grounds, to utilizing unique substrates such as wood panels, fabrics, and plastics with GOLDEN Grounds. Finally, we will cover the options of Archival Varnishing of watercolor surfaces, for preservation without using glass. Attendees will receive a selection of the products discussed to take home and explore the breadth and depth of GOLDEN’s professional product line. 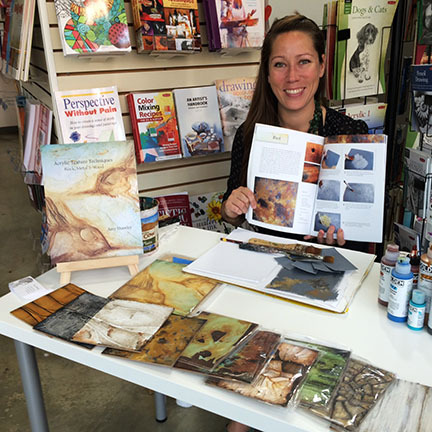 Covers a wide variety of tools and techniques for use in Mixed Media projects. Learn about the wide range of GOLDEN Acrylic paints and mediums, as well as QoR Watercolor, giving you a good understanding of each product and their different attributes. Learn how to make the right choices in grounds and colors for the best intended application and for archival quality. Learn what to put under paint, and how to create washes, stains, and collage. We also cover the use of stencils, paint markers, pastels, and pencils, as well as the creation of encaustic-like effects, and how to use Iridescent and Interference colors to add unique qualities to your work. This is a great place for beginners and experienced artists alike to learn new techniques and be inspired by innovative applications. Attendees will receive a selection of the products discussed to take home and explore the breadth and depth of GOLDEN’s professional product line. *Art demonstrations are $5 for Windmore members and $10 for non-members. Attendees will receive a gift bag of art products. Registration required: email info@windmorefoundation.org or call 540-547-4333. Windmore’s Millie Lane Collection of “Summer Breezes” is on exhibit at Deja Brew in Warrenton, Virginia located at 22 Main Street. 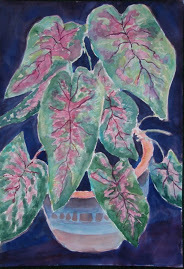 The first two of the 17 paintings, “Caladium Flower” and “Mount Olivet Church”, have sold already. All proceeds from the sold paintings benefit scholarships for high school students majoring in the arts during college. Windmore is a 501(c)(3) charitable organization providing the visual, literary, and performing arts through awareness, participation, and education. Stop by Deja Brew Warrenton to see the exhibit and enjoy some great food and beverages with menu items that consist of plenty of fresh, organic, no sugar added, and soy-free choices for any health conscious appetite. Millie Lane, who passed away in 2010, was a prominent Culpeper multi-media artist who enjoyed creating with oils, watercolors, acrylics, inks, mixed media and collage. She was quoted as saying “I have been painting in various media all my life but mainly since 1970, learning and teaching as I go. 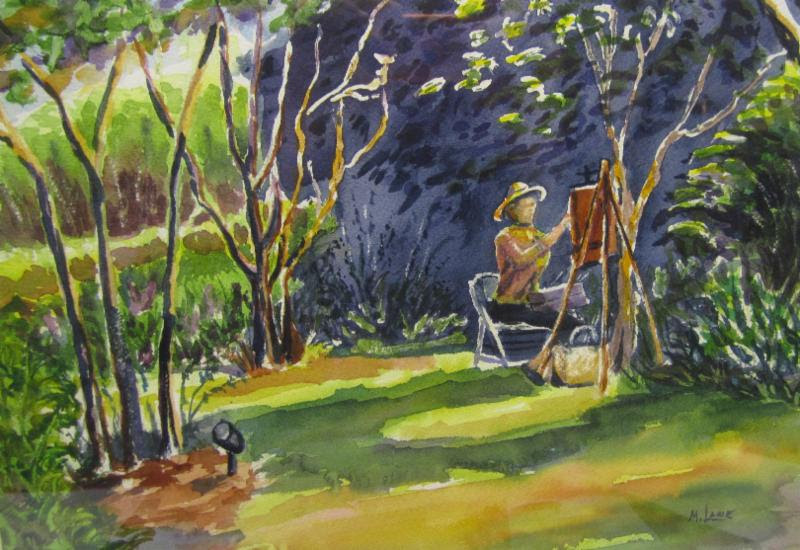 I love plein air painting in watercolors the best so I can feel what I am painting.” Millie received many awards on her paintings and had often exhibited her work in Culpeper, Fauquier, and Orange counties. 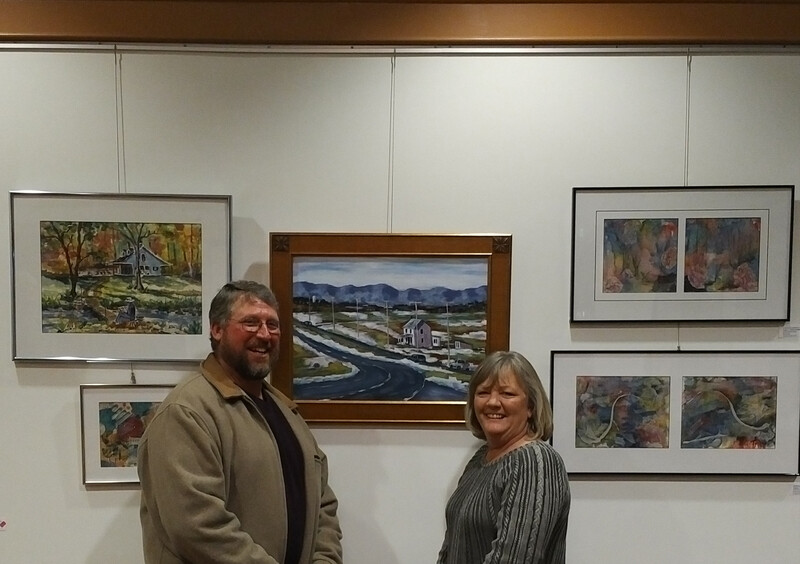 Windmore’s art exhibition is extended through Saturday April 16, 2016 at State Theatre Culpeper. Millie Lane, who passed away in 2010, was a prominent multi-media artist in Culpeper and the sale of the art funds local arts scholarships. To date 12 paintings have sold. 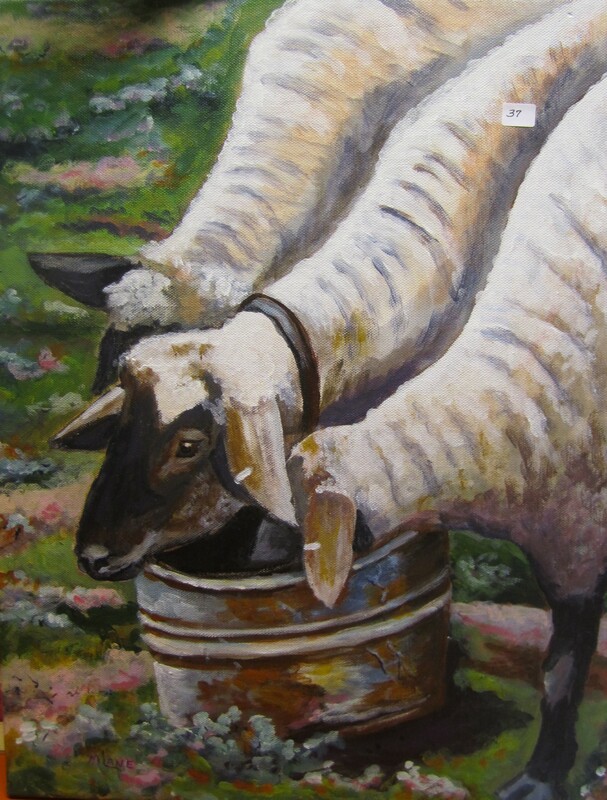 To purchase a painting, call Windmore at 540-547-4333 or email info@windmorefoundation.org.The art exhibit is open two hours prior to State Theatre events and during intermissions. For events schedule, visit: www.culpepertheatre.org. State Theatre is located at 305 S. Main Street in Culpeper. “Legacy – The Art of Millie Lane” exhibition is presented by Windmore Foundation for the Arts from February 6, 2016 – March 20, 2016, and then extended through April 16, 2016, at State Theatre Culpeper showcasing and selling the art of Millie Lane to fund scholarships. The special opening reception took place on Saturday February 6 from 5:30 pm to 7:30 pm and also included art, jewelry and pottery for sale by additional local artists, with proceeds benefitting arts programming.Thank you to State Theatre and ACC for sharing the art exhibition space with Windmore. her work in Culpeper, Fauquier, and Orange counties. Millie was born December 6, 1938 in Trenton, New Jersey, became a registered nurse and her 40 year career included working at Culpeper Hospital, and as an operating room nurse at Fauquier Hospital. She was a member of Brushstrokes Gallery of Fredericksburg, Fredericksburg Center for Creative Arts, and had works displayed in old town Fredericksburg, as well as The Arts Center in Orange County, and in Culpeper at the Village Frame and Gallery, Depot, and Library. She was an active member and teacher of the Artists of Windmore Foundation for the Arts and The Fredericksburg Center for the Creative Arts. Millie also enjoyed being outdoors, farming, horses and being at the beach which all influenced her choice of content for artwork. Millie passed away on December 4, 2010, however, her art and memory lives on. “Legacy – The Art of Millie Lane” exhibition, free to the public, is open during intermission at all State Theatre events, as well as one hour before films shown and two hours prior to live performances from February 6 through March 20, 2016. State Theatre is located at 305 S. Main Street and events are listed at www.culpepertheatre.org. One hundred percent of the sales of Millie Lane’s art will go to Windmore’s scholarship fund which awards two one thousand dollar scholarships each year in honor of Artists Dorothy Skelton and Millie Lane. 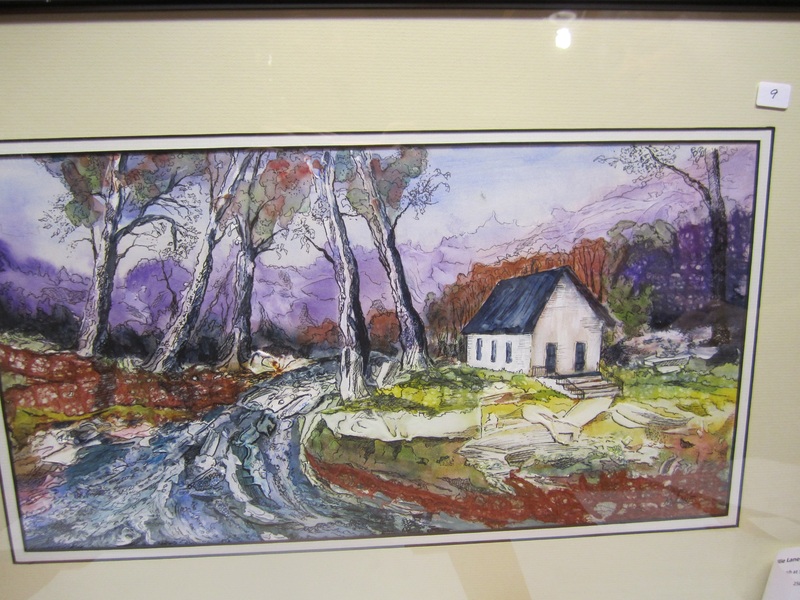 (A fundraising event for Dorothy Skelton’s art was held by Windmore last year at State Theatre.) Founded in 1987, Windmore Foundation for the Arts promotes the visual, literary, and performing arts through awareness, participation, and education. For more information including how to purchase Mille Lane’s Art, email info@windmorefoundation.org or call 540-547-4333. Windmore’s executive director Debra Smyers extends a thank you to Rick Lane.